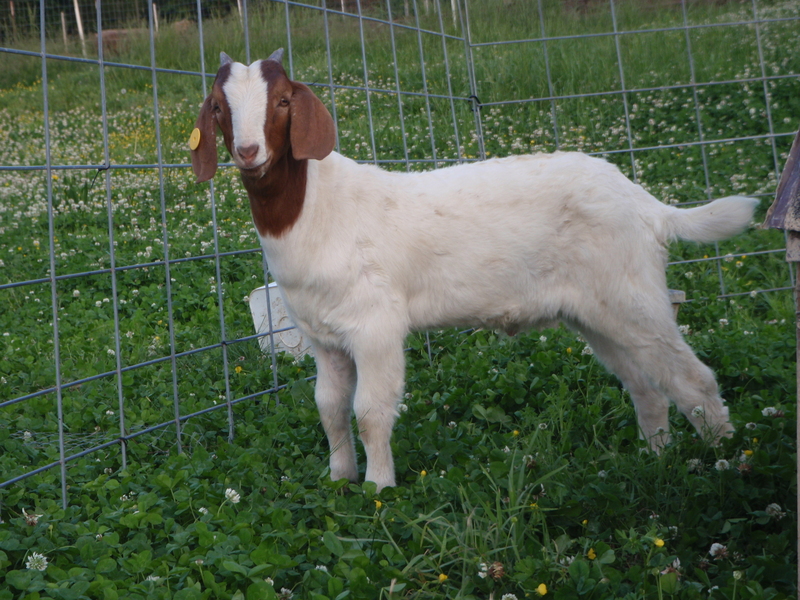 On Sunday we traded Apollo, our wonderful Kiko herdsire, for 2 young up-and-coming Boer bucklings. 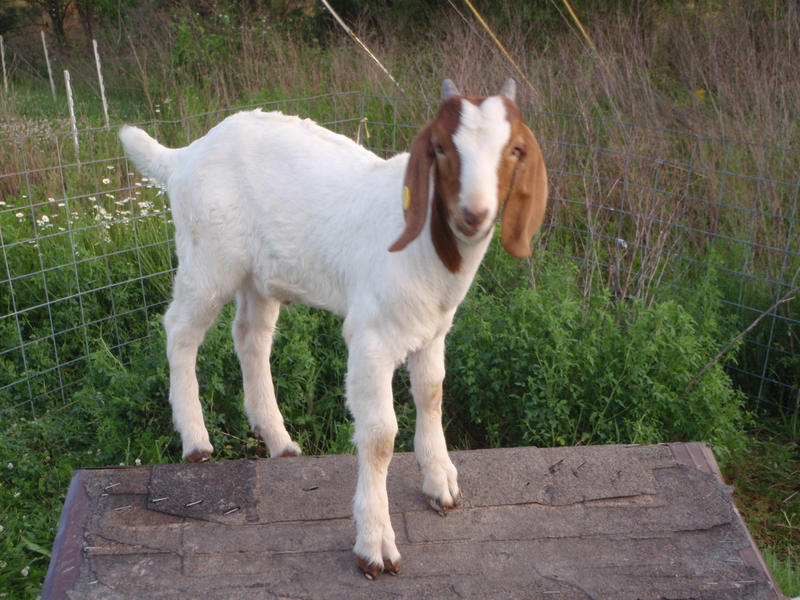 I really liked the Boer/Kiko cross (called Bokis) kids that we goat out of Apollo and Nadine. They are heavy, stocky, and vigorous. I am hoping that, since most of our does are Kikos, we can have a whole bunch of these great looking kids next year if we use a Boer buck over our Kiko does. I’m hoping that the kids will inherit the good hooves and parasite resistance of the Kiko breed and the stockiness and meatiness of the Boers. These little boys are six weeks old, pure Boer, and growing really fast! From a birth weight of 5 pounds each, they now weigh 33 and 34 pounds. That’s a gain of almost 2/3 of a pound per day. I really hope that they will help impart that rate of growth into their future kids. They are virtually identical. The ear tags will be essential to telling them apart. Tutu, of course, got tag 22. We will miss you Apollo, and we greatly appreciate the 10 healthy kids (with a couple more possible in the fall) and 2 new bucks you brought us during your 6-month sojourn at Good Life Ranch.